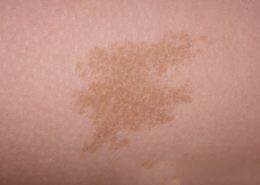 These are moderately large pale brown patches that occur at birth or early childhood. What is a Cafe Au Lait Patch? You might order a “Café au Lait” in Paris. The meaning is “Coffee with milk” and describes the colour of the patch. 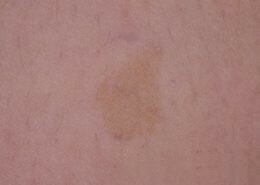 Most people think of these are a type of “birth mark” although they may not appear until infancy. 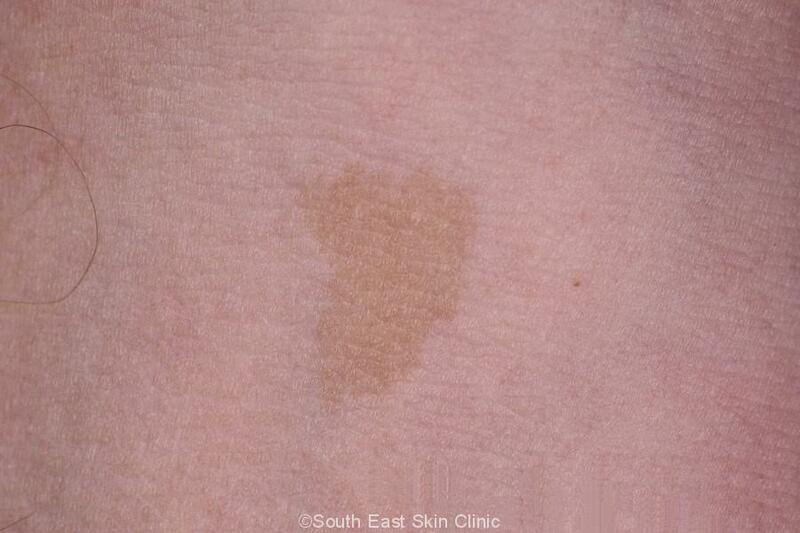 What does a Cafe au Lait Patch look like? The patches are present at or shortly after birth. 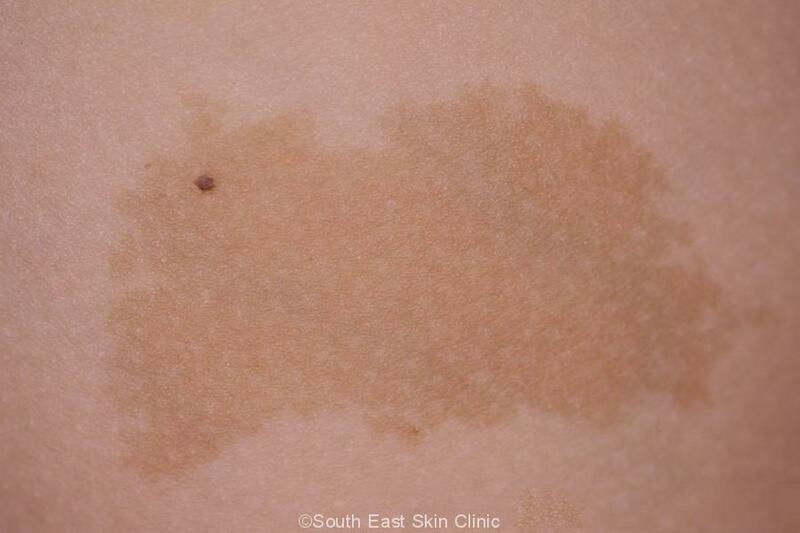 The lesions tend to occur sporadically but it can be normal have a few. They tender to occur on the trunk or limbs. 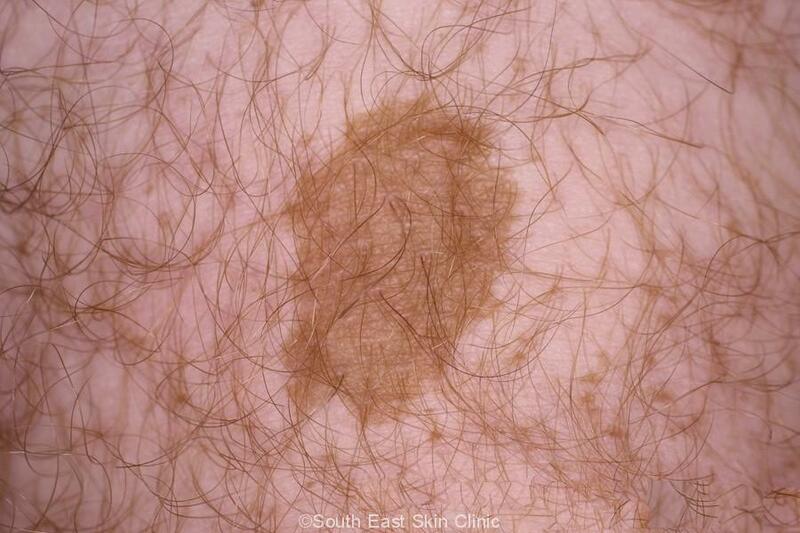 The patch is moderately large – usually bigger than a mole and perhaps 2-5cm in diameter ??? The colour is a lovely white-coffee colour, like a tan. 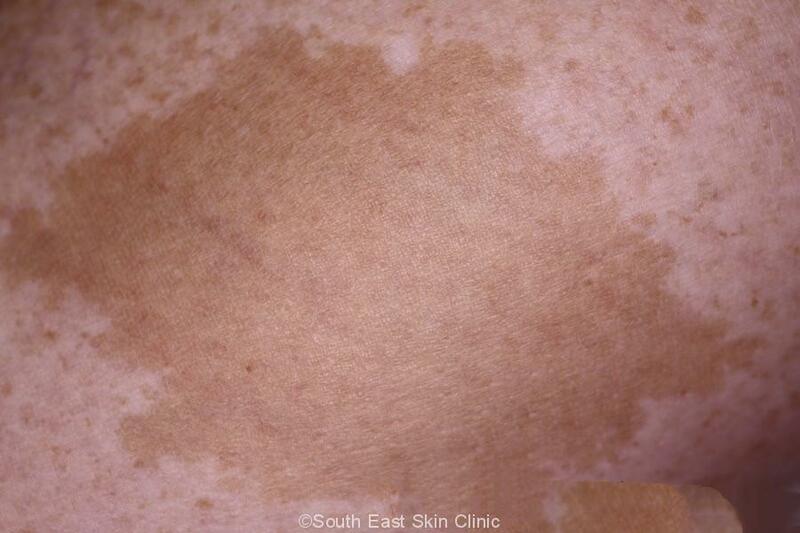 The colour is the same throughout the lesion. 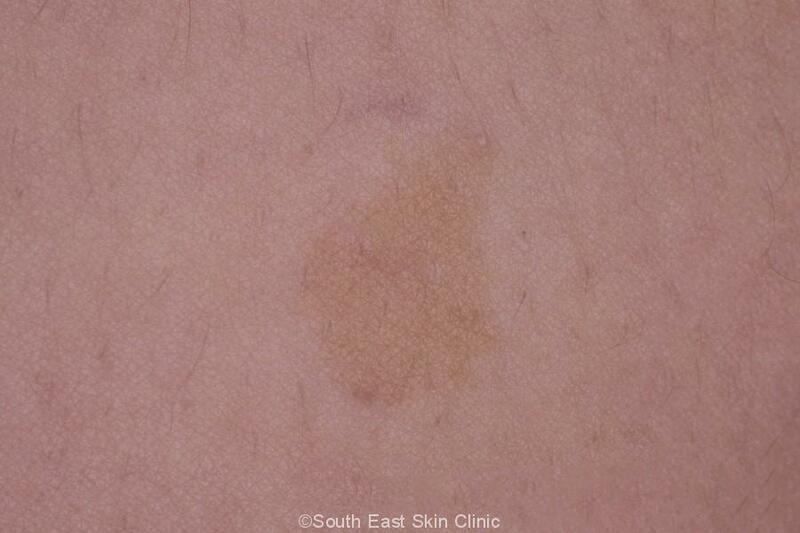 The border of the lesion is well defined – you could trace around the edge. 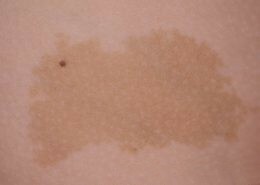 The patch is more noticeable in people with pale skin. 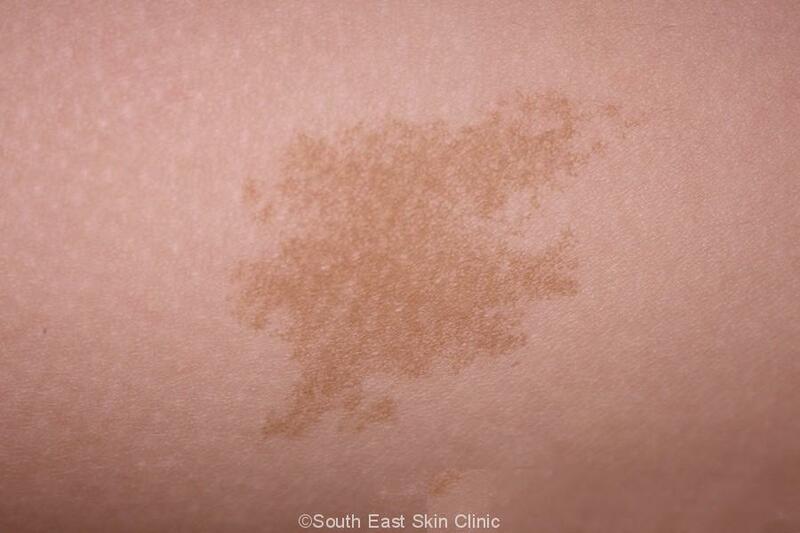 The surface of the lesion feels that normal skin. There is no scale. How many patches is “normal”? It is normal to have up to 5 patches. Six or more patches is one of the features of neurofibromatosis, a genetic disease that becomes apparent during childhood. 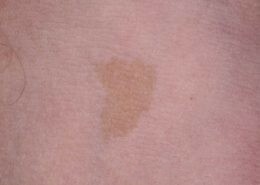 The initial feature of the condition are Cafe au Lait Patches that increase in number and size during childhood. 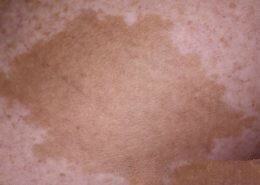 Cafe au Lait is a cosmetically appropriate name that reflects the nice creamy-brown colour of these flat lesions.